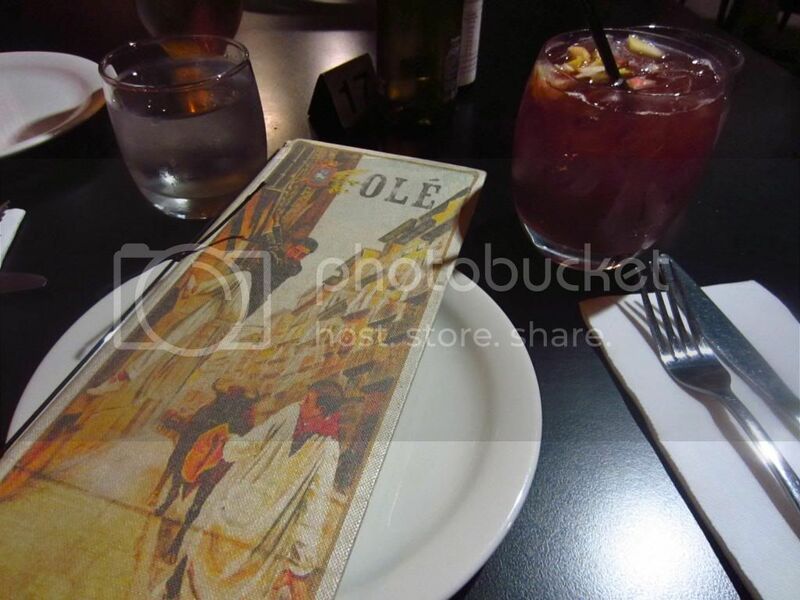 Recently, my boyfriend and I went to dinner at Ole Restaurant at Southbank in Brisbane. 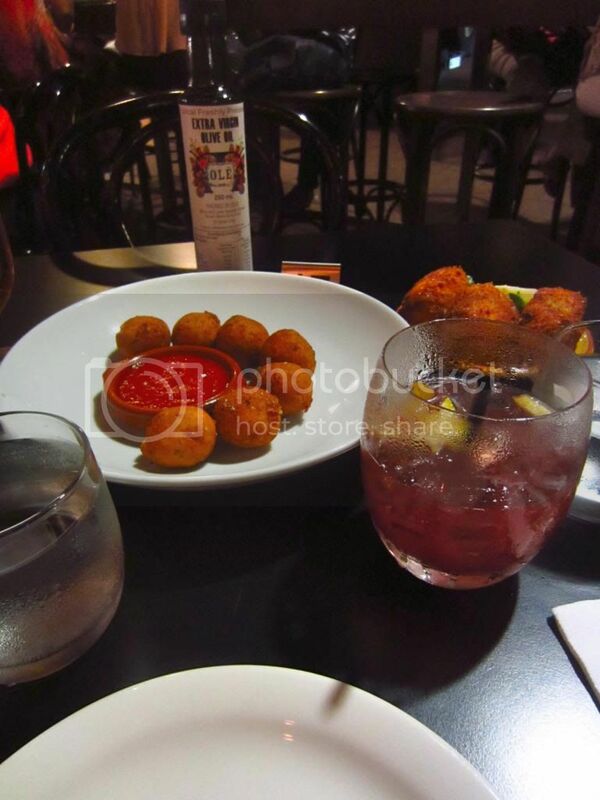 Ole has been a firm favourite on the Brisbane casual dining scene since it opened in 2011, but this was our first visit as part of my 'Resol-funs' list. As it was a Friday evening, we were unable to reserve a table but they seated us quickly at the bar when we showed up and before we could order a drink they had already directed us to a table. Fist up, let me say that the Sangria was delicious and the perfect way to start the evening. We ordered quite a few dishes and it was way, way too much. The staff were lovely, friendly and very attentive but it would have been great to get a bit more knowledge about the dishes on offer and how many might be suitable to satiate our appetites. Chickpea fritters with chilli sauce and Jamon fritters in the back right! Jamón fritters - these were lovely but nothing special. Chickpea fritters with hot chilli sauce - a little dry but the sauce was great! Crisp calamari and whitebait with aioli - I don't like whitebait (this one was for the boy) but I did try the calamari and it was ok. Nothing special. Sourdough bread with Olé extra virgin olive oil - we barely ate any of this dish due to the sheer amount of food we ordered. I will say it is a pretty decent size but you will fill up quickly eating lots of small dishes so you probably don't need it! Beef and chorizo meat balls served with sourdough - This was the hero of all the dishes. They don't look like much but by god they were delicious. Again not anything amazingly special or ground-breaking but very tasty despite this. Local prawns wrapped in jamón, fried with garlic - Honestly these were another disappointment. They sounded amazing but both of us were underwhelmed with the size and flavour (or lack there of) of the dish. I couldn't get photos of everything but you can take my word that all the dishes were presented beautifully, however, overall Ole didn't like up to my expectations. 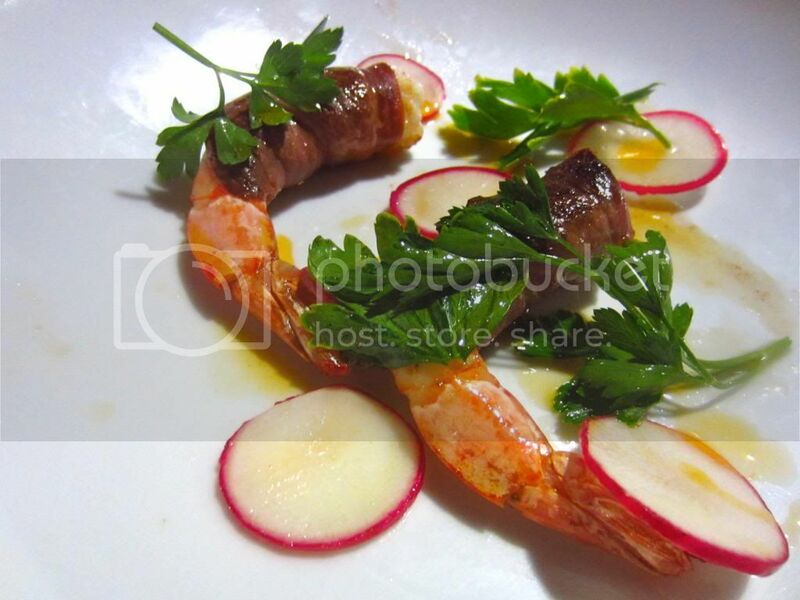 The food was fine, but in my opinion nowhere near as good as what's on offer a few streets away at Granada Tapas Bar. That said, the fun atmosphere and a desire to try a few more things on the menu will definitely lead me back there...not without a return visit to Granada first though!